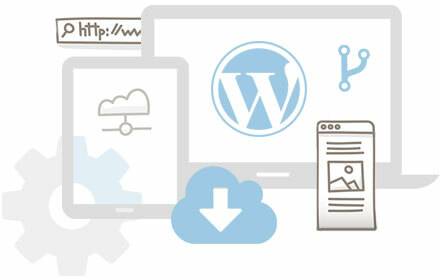 Fast, secure and future proof websites built on the popular WordPress platform. We regularly review the way we utilise the WordPress platform, and how WordPress can best suit the needs of our customers. We’ve been designing and building websites for 14 years. Nowadays, we create high-quality WordPress websites that take advantage of the latest trends and technologies. To talk techy for a moment, our favourite tools include SASS, Git, Bootstrap but we’re always experimenting with new tools to stay at the top of our game. Like to know more about WordPress? Easy to use for non-technical users, updating your website content is a breeze. All our websites are built with mobile and tablets in mind to so they look great on any device. Our in-house user experience experts ensure the website is intuitive and familiar, engaging your audience and optimising conversions. Our team of software developers build complex web apps. With our custom integration service we can help you connect your website to other services/software. Standards matter! Our websites are designed to meet industry best practice standards. At Boson web, we only use high quality, widely established plugins. Our update service will keep your website synchronised with the latest WordPress code changes so your website stays secure. Code Should Look and Function, Beautifully.